This tag was simple to put together. I first die cut the cute Baby Onesie Shaker die twice out of patterned paper and once from acetate. On the patterned paper piece that goes on front, I used the smaller onesie in the set to diecut the center out. (By the way, did you know that that tiny onesie has a score line that cuts into it so you can fold it to make a diaper too? So cute!) I embossed the sentiment, Little Peanut, from the Little One stamp set onto the acetate. I die cut the cute baby word from the new Baby Words Tags die set and attached it to the top of my tag. It's a cute and easy way to decorate up a gift! I'll have a White Peppermint Mocha To Go Please! That's my drink of choice and what I order almost every time I get coffee! I love the size of the new To Go Coffee Cup Gift Card Holder die. 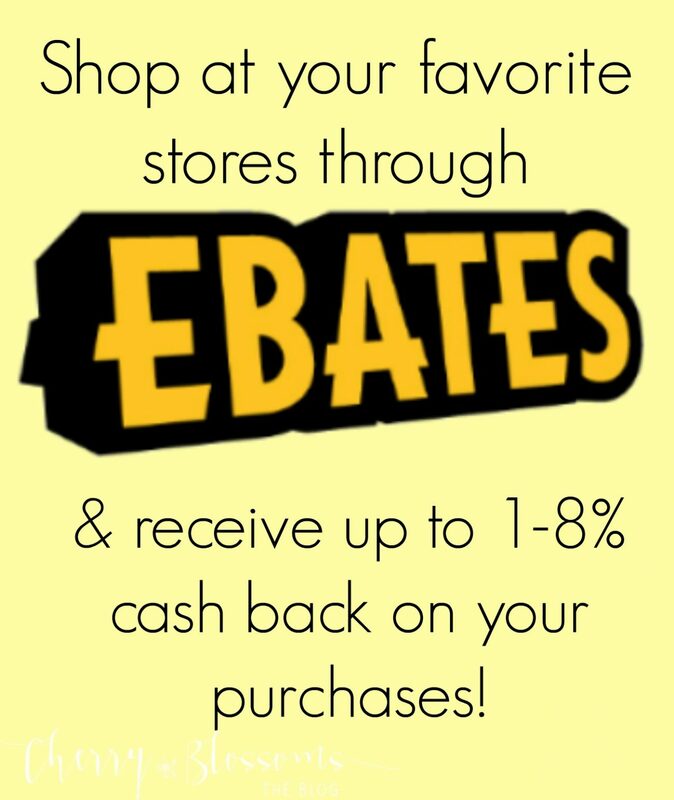 And, like the name implies, a gift card fits right inside perfectly! The finished size of the coffee cup folded up (like shown below) is 5" x 3". 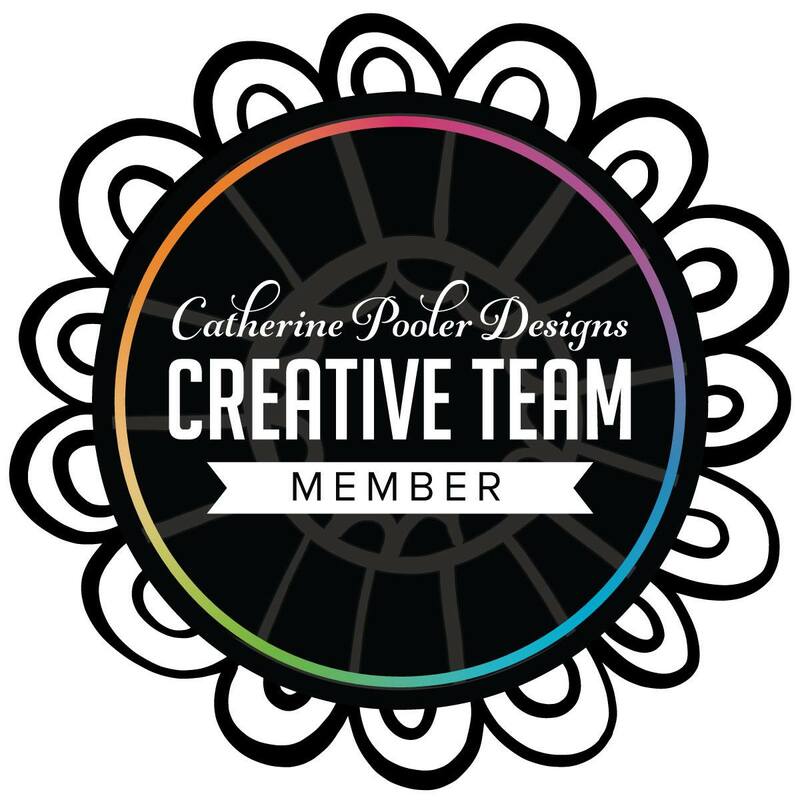 If you hopped along on the latest Coffee Lovers Blog Hop you probably already saw this coffee cup gift card holder. The information for this card can be found on this post. Above is a look at the inside. For the coffee cup for today's post I wanted to go cute & simple. I didn't even add a sentiment on the outside and instead of super bright like my previous project, I kept this one more coffee-colored featuring warmer colors. I die cut the To Go Coffee Cup Gift Card Holder die out of patterned paper and chose a coordinating patterned paper for the wrap. I love that the wrap fits around the die cut cup perfectly! When you take the wrap off and open it up you see this. I stamped the sentiment from the new Coffee Talk 2 stamp set in Spruce ink. When you take the gift card holder out from under the tabs it reveals the sentiment. Love your coffee cups! Makes me wish that they are real coffee cups.-Maria Giselle B.
I love all your colorful creations of the day !! 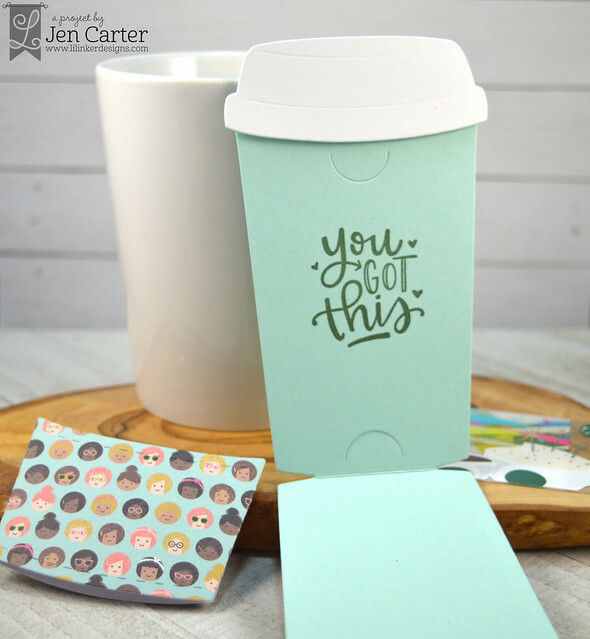 Super cute ideas for the Coffee To Go Gift Card Die. And, I love the colors you used for your onesie tags... I thought the diaper die was such a clever idea too! These are all great!! That baby shaker tag is such an adorable idea!! Love the cute little shaker tag!! Just darling and perfect. Wonderful coffee cups!! So smart. Love the sweet shaker, too! 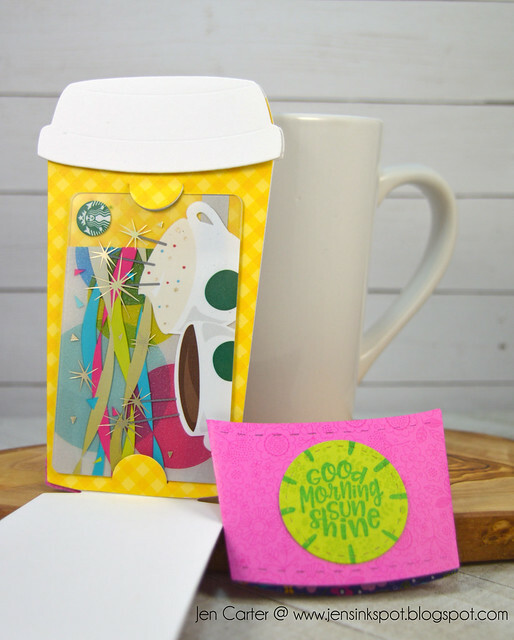 Wow, all the ways to design the coffee cup gift card holder! So much wonderful inspiration! Such wonderful projects and cute papers! After seeing the baby packaging on Lil' Inker's blog I had to come to yours and leave a comment. Just love love it! And all those coffee holder gift cards. Just WOW Jen! Putting in an order now! Your examples are adorable! Love all of them! Very cute ideas for the coffee gift card holder! Have added it to my wishlist! I just love your tag for the onesies - what a perfect gift! 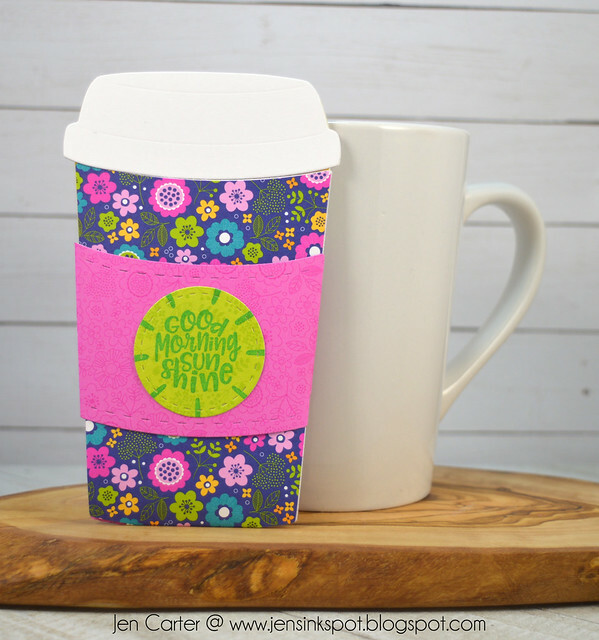 And the coffee cup done in florals is adorable! These are really cute! Love the coffee cups. Love all the beautiful work today - so pretty! 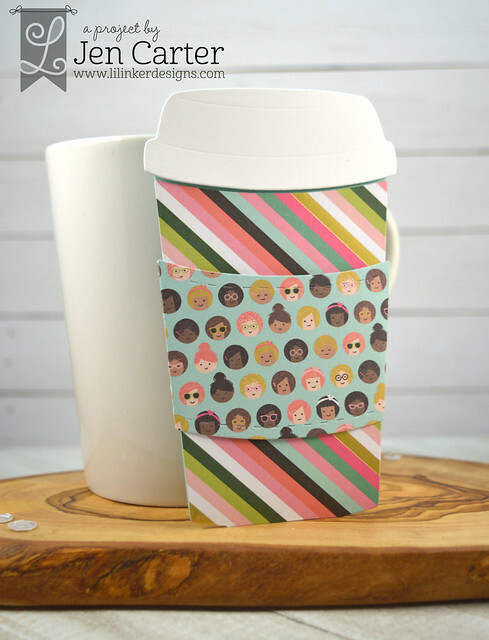 Fabulous coffee cup designs and love the cute shaker onesie tag. you choose a beautifuul colors for you cards! there is amazing!!! Your projects are darling! I love how you matched your tag with the onesies. Such sweet, fun and beautiful gift packaging ideas. Fantastic! Fabulous release. Love the inspiration projects. Especially the onesie dies. Adorable baby tag. I love the shaker idea. I also love your cat card. It's such a great stamp set it doesn't matter what colors you use because they all look great with this set. Awesome coffee cards as well. the gift card holders are ADORABLE!!! Your paper picks "make it just right"!!! Really cute. Awesome creations! 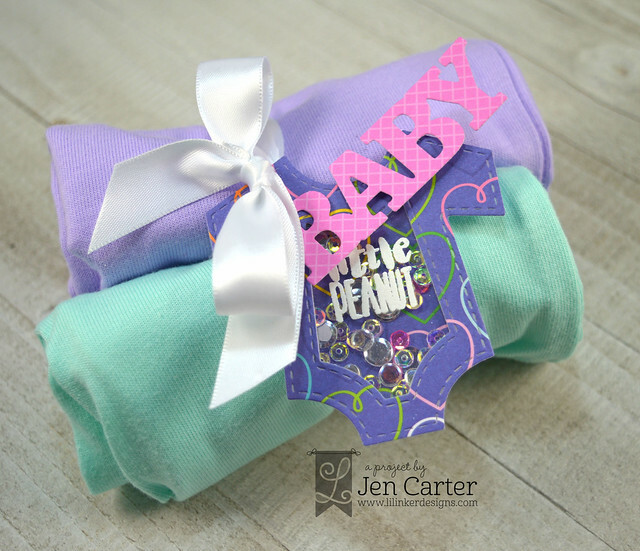 Love the onesie shaker tag and all the gift card holders! Darling Baby tag. Love the use of patterned papers on the gift card holders. These are all so happy, but I especially love your baby gift and fabulous onesie tag!! That shaker!! Awesomely adorable... and love both of your coffee cup gift card holders.. what a great die to have in your stash... think i need it! Your coffee cups are so colorful and bright. Love them!! Adorable onesie shaker tag and I love the colors on your coffee cups. Great designs! I love the onesie shaker tag. That onsie die is so versatile...it would look great in any color combo. Thanks for showing the different GC holders, too. I can certainly see me sending several of these to my coffee loving friends! Love the wrap with the faces. CUTE cards. The caped cup and the multi cat stamp and die set are my favorites from this release. 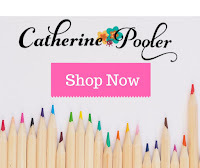 Catherine Pooler + Wow! 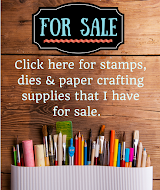 Blog Hop + GIVEAWAYS!